so I need a common-mode choke, 85-265Vac rated, <1.0Amps operational current, but UL/CSA/VDE/whateverthefluff rated, Because Standards (which have not been formally stated requirements for the product at this stage, but we know it'll come down the track). hope over here. um, where do I start? tried transformers, 1:1 ratio, saw a delicious-looking Approvals search criteria, but clearly I wasn't in the right place. did a search for a part# that was on my maybe-short list, just to get an idea where CM-chokes were categorised here - ah! inductors! duh! 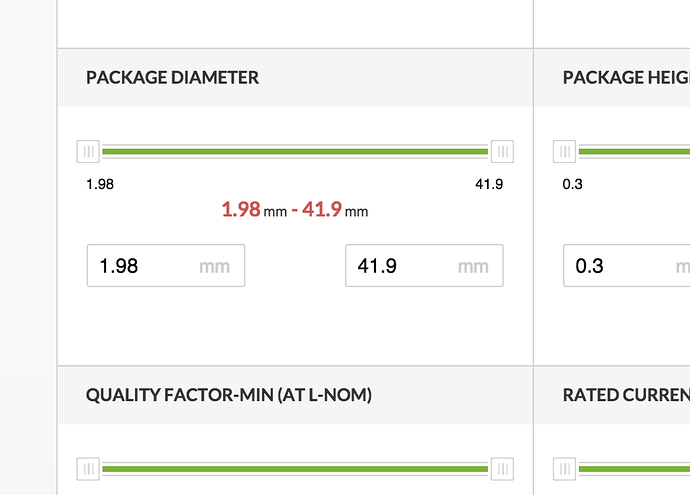 but the result of narrowing my search by ticking these two 'Applications' left me with results whose Package Height now ranged from 31.2 to 35.6mm, up from 0.3 to 10.0mm blank stare blink blank stare please, don't even try to make a Venn Diagram of this situation, you'll do yourself an injury. This is an old problem - shopping for magnetics has been difficult for a long time. The manufacturer's data sheet authors (or the translators) don't always clearly convey the concepts or terminology of magnetics. It's tough to get the database right when the data sheets are spotty. Safety approvals in component databases are even worse. I never have enough faith in any database to rely on them for safety information. So if you can't rely on it, why bother having it? That's my excuse, anyway. Unlike most power transformers, common mode chokes are often designed to have a relatively large, controlled leakage inductance. This enables them to be used as common-mode suppressors and differential mode filters at the same time. Also unlike most power transformers, you really need to know the common-mode inductance value to design the filter. 1. Find a family that has some stock at a distributor that you like. In this example I chose PLY10 from Murata. 2. Look at the data sheet to find approvals, specifications, etc. Looks like maybe the Safety ones start with PLY10AS. Note the other weird terminology in the data sheet. Normal mode inductance? I know what they mean but I haven't heard it said that way before. 3. Put PLY10AS into Findchips and see what you can find. In this case Mouser has stock. It does look like there is a problem with this search in parts.io. I searched for PLY10AS and got 40 results. When I check the 'In stock' button, there are only 2 results. There should be many more results, based on what I see at Findchips. "Inductors designed while-u-wait. Transformers take longer." 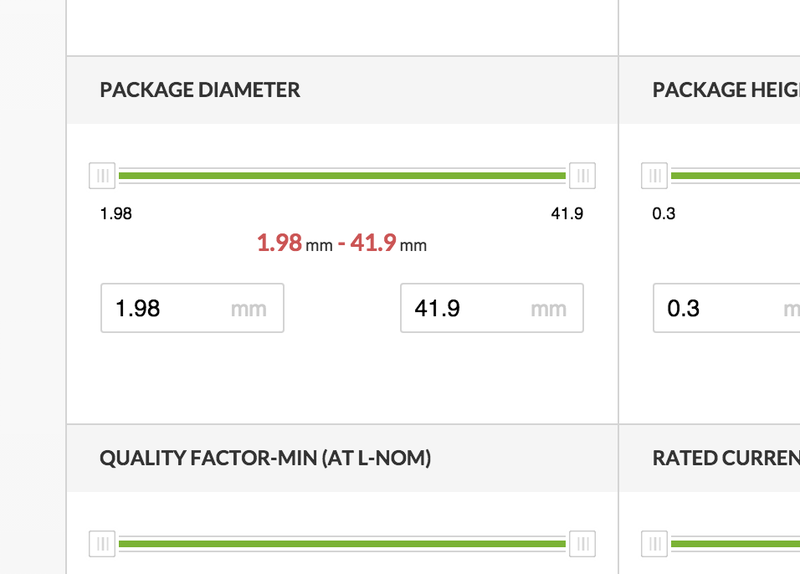 i think you've hit a few nails - the inconsistency of datasheet data & terminology, but also parts.io's search for this category "having issues"
I saw Murata's PLA10/PLA10AS & PLY10/PLY10AS range, with the S variants having "Safety approval", EN60065. I was all set to use it, but I'm quite a noob when it comes to modern standards for stuff like this, so I emailed Murata to ask if they had any mains-voltage CM chokes that were UL-listed. Answer was no, which seemed odd. I definitely agree that certain passives like this can be a hairy search. OK, so first off: the data on these components obviously has some outlier data that needs to be cleaned up. There is zero reason there should be a "card edge connector" type. This is likely a single record or two with this erroneous column, but even if a single part has it, it will show up in the filters. We'll get working on those oddball criteria. I did notice this field, which perhaps is what you're actually looking for? Like perhaps because it's a toroid the diameter of the coil is actually the spec? I wasn't specifically looking for toroidal, so I hadn't selected Construction: Circular, but maybe that was skewing my perceptions when looking at the various dimension ranges? In fact I furiously avoided that Construction criteria, because it was clearly filled with a cornucopia of not-mututally-exclusive criteria, and - a recurrence of an old gripe - I can't select multiple options .